TOKYO (Kyodo) -- The Nippon Ham Fighters are considering building a new ballpark in Sapporo or its vicinity, baseball sources said Tuesday. 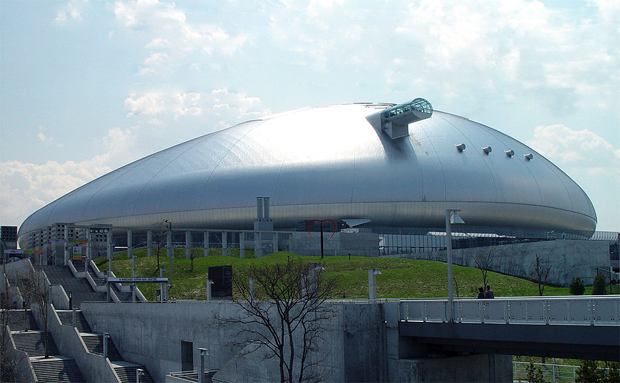 The Pacific League club based in Japan's northernmost island currently uses Sapporo Dome as its home field, but the facility is owned by the city of Sapporo and managed by a nonprofit organization. When the Fighters hold home games or other events at Sapporo Dome, the team is required to pay an 8 million yen daily usage fee in addition to a service charge of 400 yen per head any time the attendance surpasses 20,000. The Sapporo-based team is aiming to increase profitability by constructing their own ballpark and integrating management of the team and the stadium, and is not interested in multipurpose use of the new stadium. Sources said talks are still in the early stages, with discussions on possible locations having started in the last month or two. Hokkaido University campus is among the 15-20 candidate sites on the list, they said.